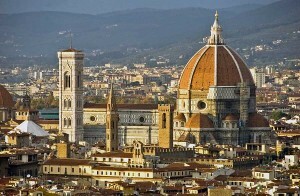 Florence is the capital of Tuscany, one of the 20 regions that Italy consists of. As one of the richest cities during the Middle Ages and birthplace of Renaissance, Florence has a lot to offer to its tourists. The lack of modern buildings and skyscrapers and plenty of Renaissance architecture and art can make you feel like you’ve traveled back in time. Many prestigious travel guides and magazines e.g., “Forbes” crowned Florence as one of the most beautiful cities in the world. 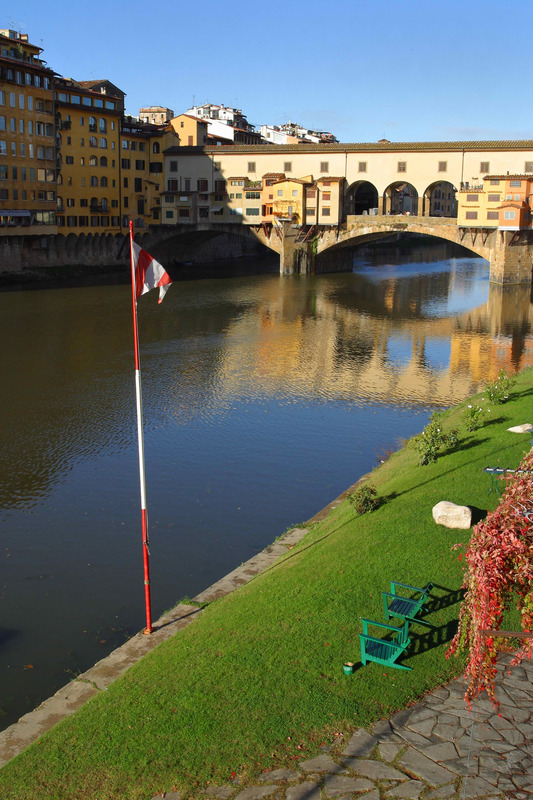 The best way to explore this city is on foot, and due to the proximity of most important attractions you can experience Florence without too much hassle. Your first stop should be the most beautiful church in the city – the Basilica of Saint Mary of the Flower, which can be found in Piazza del Duomo. This Gothic cathedral dates back to 15th century and includes the Baptistery, and a tower as well. Visitors can climb 464 stairs that lead to the top of the Dome, where they can enjoy the breathtaking view of the city. Don’t forget to take your camera and capture some amazing photos. Near Piazza del Duomo you will find another popular square – Piazza della Signoria, which serves as a meeting place for both the citizens and tourists. This square serves as a gateway to Uffizi Gallery, one of the most famous art museums, when it comes to Renaissance paintings and sculptures. Every day, many people from all over the world wait in line for a few hours for a chance to visit some of the greatest Renaissance masterpieces. 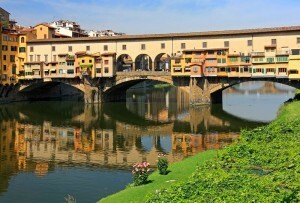 After the museum, head over to the Ponte Vecchio, a famous bridge and one of Florence’s main attractions. Once you start crossing the bridge you will notice the shops on every side along the way, which is a custom that dates back to Middle Ages and makes this bridge one-of-a-kind.